Your Facebook fans are tired of automated and generic responses to their posts. Many brands and businesses are not getting the engagement they could because of this. However there are some top businesses that have got the message that we are tired of the same old business replies. Here are some great examples of fan interaction from top brands. This message was such a hit, it received nearly 98,000 likes. Bodyform successfully posted a video reply to Richard, apologising for their ‘lies’ personally. This also received thousands of Facebook likes. Not only did Bodyform’s response receive likes, it also gained media attention. Proving there are fun ways to reply to users comments and turn them into positive PR. Another brilliant example of social media interaction is O2’S response to one of its users problems on twitter. 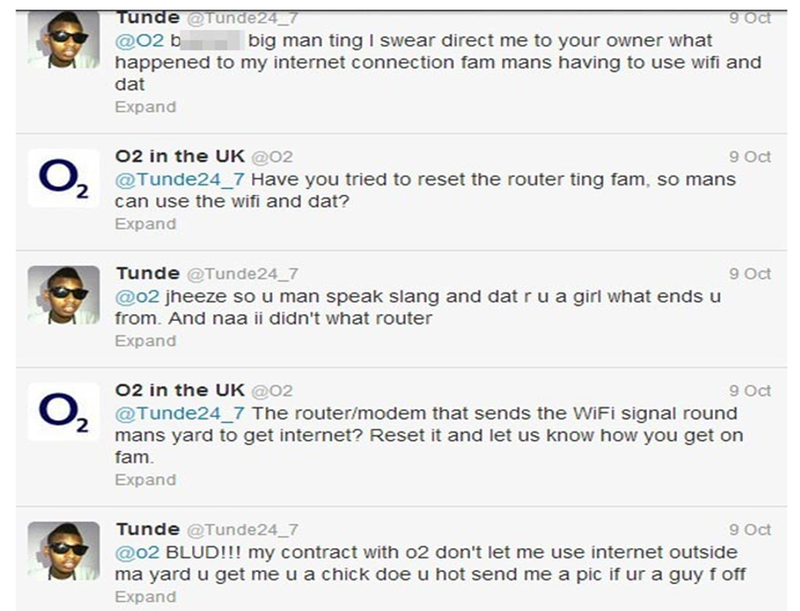 @Tunde24_7 sent a tweet to O2, as he was having a problem with his router. 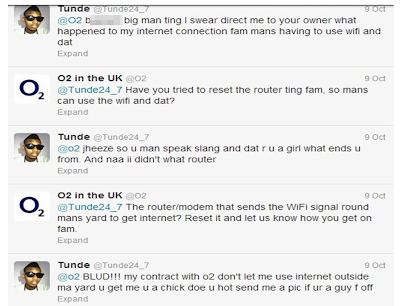 However the tweet was not written in standard English and o2 responded comically by mimicking some of the slang @Tunde24_7 used. These responses were so funny that they became a viral hit. Even boring problems can have comical responses. As you have seen your responses to your customers do not need to be dull and boring. So give it a go and send us some good examples of your social media interaction in the comment section below.